The ANZ Bank building in Queens Parade Fitzroy North was built in 1889 to the design of Oakden Addison and Kemp for the London Chartered Bank. Subsequently the building was used as a bank by the Bank of Australasia (1893), the ES & A Bank (1921) and the ANZ Bank (1970). The street entry has been modernized as has the bank interior, but the manager's residence above is substantially intact, although not in good condition. The ANZ Bank building in Queens Parade Fitzroy North is of architectural, historical and social significance to the State of Victoria. The ANZ Bank building in Queens Parade Fitzroy North is of architectural significance as one of the best examples of English Queen Anne Revival style commercial architecture in Melbourne. 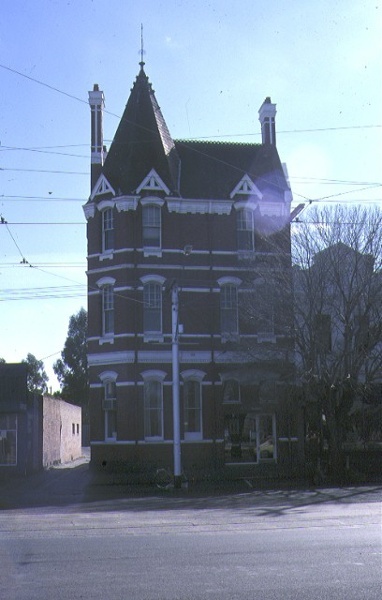 The building is prominent in the Queens Parade/Heidelberg Road intersection and its importance is emphasized by the corner tower, steep pitched roof and tall chimneys. The decorative brick and render bands give contrast to the precise red brick work. The building?s architect, Henry Kemp, was one of Melbourne?s best exponents of the style. Kemp was also responsible for the Australian Building in Elizabeth Street, Melbourne, which, when built around the same time as the ANZ Bank building, was reputed to be Australia?s tallest building. 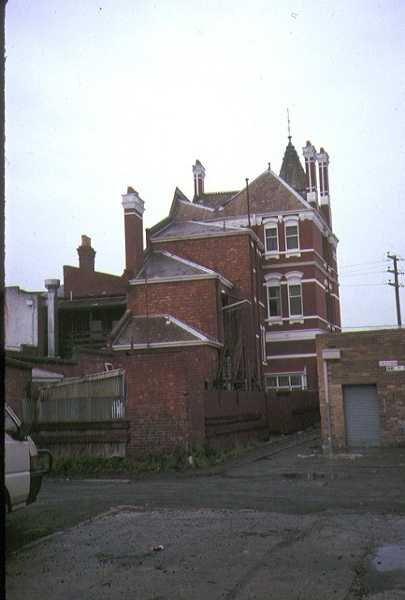 The demolition of the Australian Building in 1980 gives the ANZ Bank building added significance, given the latter appears to have been a scaled down version of the former. The North Fitzroy bank is the only metropolitan example of Queen Anne style bank buildings in Victoria, the other seven being country buildings. The influence of the important English architect, Richard Shaw, the leading architect of the Queen Anne Revival style in London, is clearly evident in the ANZ Bank building. 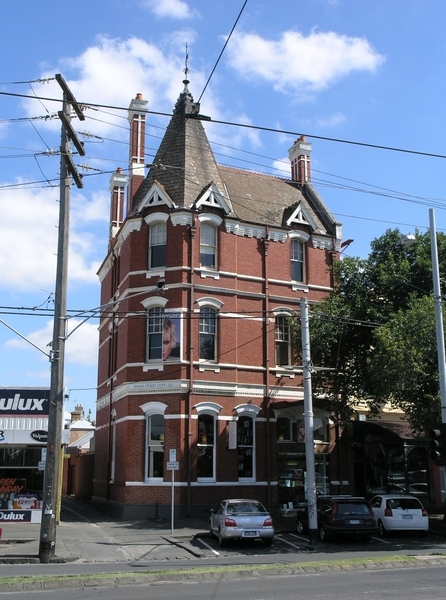 The ANZ Bank building in Queens Parade, Fitzroy North is of historical and social significance for what it reveals about the banking industry in late 19th century Melbourne. The importance of the bank in the local community was emphasised by its prominent street corner location and its distinctive and attractive architecture. The manager?s residence above the banking chamber is a reminder of the different organisational and working arrangements that characterised 19th century cities. The building continues to have social significance due to its landmark qualities. The ANZ Bank. 370-374 Queens Parade, North Fitzroy. 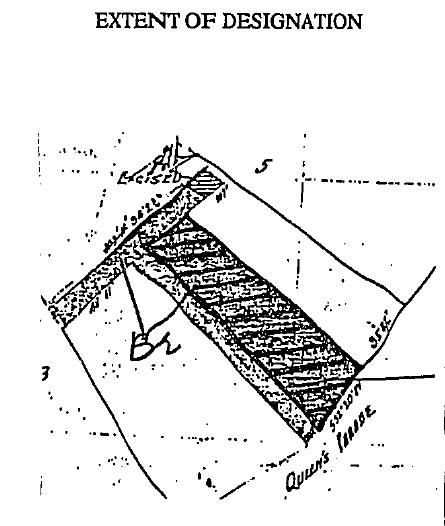 To the extent of the building known as the ANZ Bank, 370-374 Queens Parade, North Fitzroy, and all the land described in the Register Book Certificate of Title Volume 2016, Folio 086.